Between Us is an extraordinary and utterly heartbreaking work of fiction that eloquently critiques Australia’s current immigration policies. Drawing from thorough research, Clare Atkins writes movingly about the experiences of two young people, one living inside a detention centre and one outside it, whose developing relationship is condemned by those around them. Ages 12+. Family drama, tangled love affairs, pervasive toxic masculinity, cut-throat school politics and a haunted portrait – this juicy and sophisticated novel brings together multiple narrative threads to create an authentic snapshot of contemporary life. Emily Gale writes about difficult topics with hope and humour, allowing breathing space for teen readers to explore their emotions. Ages 14+. This bruising fantasy debut features Game of Thrones-esque intrigue in a world that’s rooted in West African history and mythology. Tomi Adeyemi is clear-eyed in her depiction of a kingdom that’s been ravaged by war and trauma across generations, never softening hard truths, and her lush descriptions of magic are thrilling. Ages 14+. After her mother’s death, thirteen-year-old Sophie is forced into foster care where she is subject to a string of harrowing experiences that radically alter her future. Eleni Hale drew from her first-hand experiences in writing this gritty and confronting novel, and Sophie’s raw, honest voice will capture your heart. Ages 15+. Rife with politics and magic, this immersive read introduces readers to a new richly imagined fantasy epic set in a world of floating celestial islands. When bookish Ophelia is forced into a diplomatic marriage, she must learn to survive in a treacherous new landscape, as well as contend with a hostile new fiancé. Ages 12+. This suspense-laden and convincing thriller poses morally complex questions that feel frighteningly relevant in light of climate change. Lili Wilkinson’s depiction of seventeen-year-old Prue and her family – ruled over by a doomsday-prepper father – is nuanced and compassionate. After the Lights Go Out is utterly engrossing and will stimulate discussion. Ages 14+. The winner of this year’s Readings Young Adult Book Prize, Amelia Westlake is an effervescent feminist romp. Prompted by the unchecked sexist behaviour of a male teacher, two very different students join forces to fight injustice within their school under the pseudonym Amelia Westlake. Part queer rom-com, part social satire, it’s wholly delightful. Ages 12+. 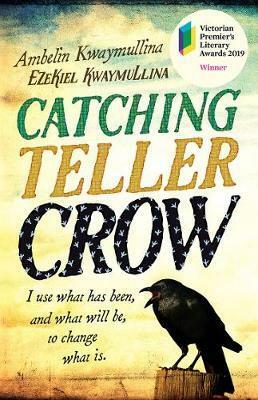 This uniquely crafted work from author-siblings Ambelin and Ezekiel Kwaymullina blends verse and crime fiction tropes with supernatural elements to unpack the legacy of the Stolen Generations. The result is highly imaginative, taut and gripping – you will not want to put this book down. A testament to the transformative powers of storytelling. Ages 12+. Taking place over eight eventful hours at a university open day, The Things That Will Not Stand is a sharply funny and poignant look at a group of teenagers on the cusp of independence. Each passing hour reveals new secrets, and Michael Gerard Bauer emphasises the value of creativity and truth. Ages 12+. When sixteen-year-old Grace places her baby up for adoption, she’s compelled to search for her own biological mother. Instead, she discovers two siblings she didn’t know existed. Coming from contrasting life experiences, the three teenagers form a tentative yet genuine connection. This is an incredibly beautiful and generous story about the meaning of family. Ages 12+.